A lovely short story collection of queer tales! 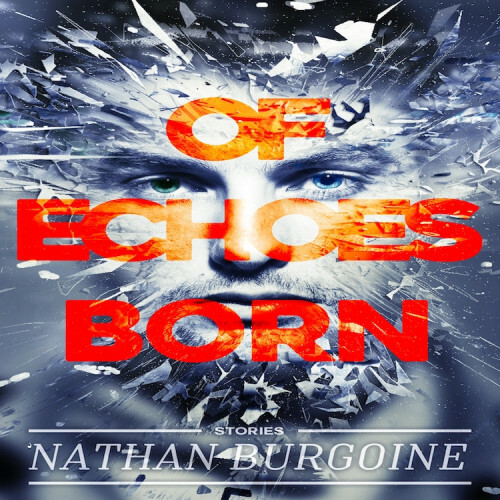 ’Nathan Burgoine is one of my favorite authors and Of Echoes Born is a lovely short story collection of queer tales! Deeply moving and emotional! I had a lot of fun reading it and would highly recommend it! A beautiful collection of short stories from a talented writer. Love the magic and the intersection of characters. A fabulous collection of short stories that are inter-connected by common characters. By saying collection was a page turner, I don’t mean I felt rushed, more that the characters pulled me along gently, wanting me to travel with them in their journey. A greasy introduction to ‘Nathan Burgoine’s work, I will be reading more by him. This is absolutely an amazing anthology. Each story is so well done and connected it at times moved me to tears. The writing is superb and all the stories shine on their own and as connected pieces. I was initially drawn in by the cover, but the Of Echoes Born blurb convinced me to stay and read. I always enjoy well written short stories, so the promise of a varied collection of them by a new-to-me author was one I couldn't pass up. Of Echoes Born contains plenty of hints of romance, but the focus is more on highlighting voices. Each story served like a snapshot in time of a defining moment in that particular character's life- when they've find solace, strength, or confidence in themself. The writing was crisp and flowed, the characters interesting, the stories memorable. Each story was distinct but there was a cohesiveness that made the transitions seamless. This was enhanced when characters, places, important names would pop up from story to story, uniting the theme almost giving nods to those who came before. While I enjoyed each short, my favorite aspect were the bookends of the collection. It was a surprise, tying everything together and leaving me covered in goosebumps. If you enjoy short stories, Of Echoes Born is certainly worth the read.